The 2016 Louisiana spring shrimp season opened on Monday, May 23, according to the Louisiana Wildlife and Fisheries Commission. The Commission set the spring shrimp season dates based on information provided by agency biologists and on public comments. 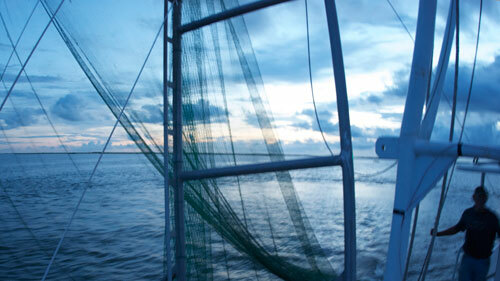 Louisiana Department of Wildlife and Fisheries (LDWF) biologists monitored hydrological parameters and conducted over 500 trawl samples throughout the state’s estuarine and nearshore waters to develop management recommendations for spring inshore opening dates. The Commission granted authority to the Secretary of the Department of Wildlife and Fisheries to close the season when biological and technical data indicate significant numbers of small, white shrimp have recruited into inshore waters or if law enforcement problems develop. The Secretary is further granted the authority to open any area or reopen any previously closed area, and to open and close special shrimp seasons in any portion of state waters.